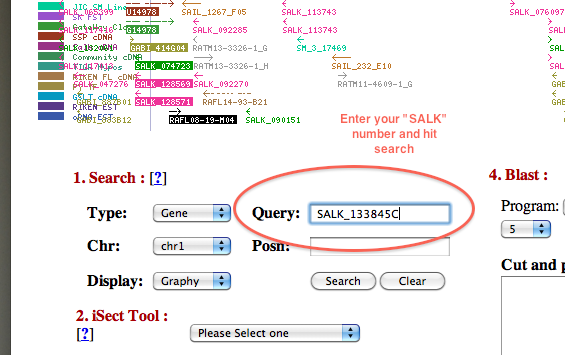 Step 2: Your search should return a page similar to this (here we searched for SALK_122845C). 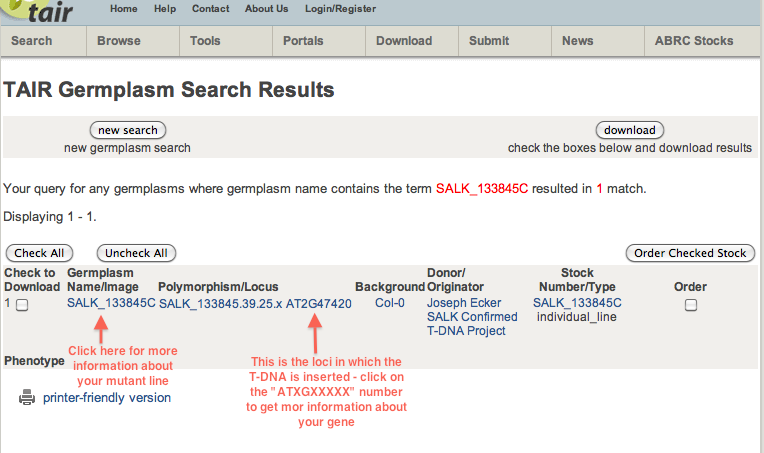 Click on the linked text of the SALK # for more information about the line and/or the linked text of the locus (in this case it is AT2G47420) to find more about the gene your mutation should be in. 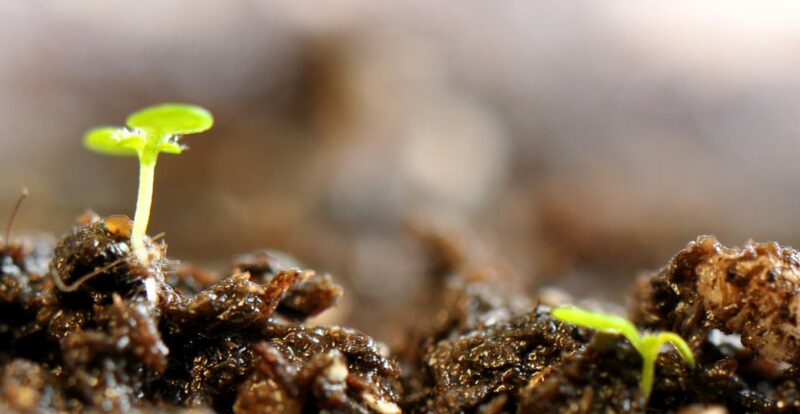 Also, visit the T-DNA Express page for more information about your mutant plant line. Step 2: Your search result will bring you to the place where your mutation is located. 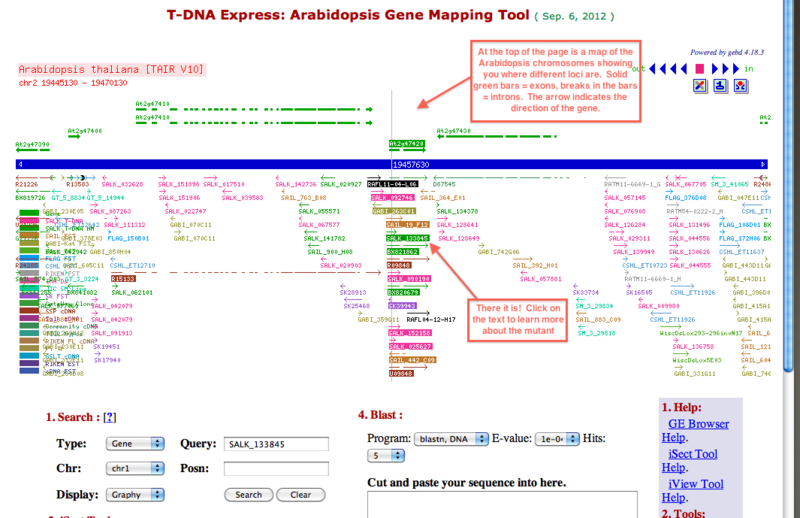 At the top of the page in green you will see the different Arabidopsis genes as they are physically located in the Arabidopsis genome. The genes are represented by green bars (the arrowhead indicates the direction) – solid bars are exons, the interruptions represent introns. Below that map is a collection of smaller arrows of various colors (all described by matching color text). Look for your mutant # – it should be represented by a green arrow. 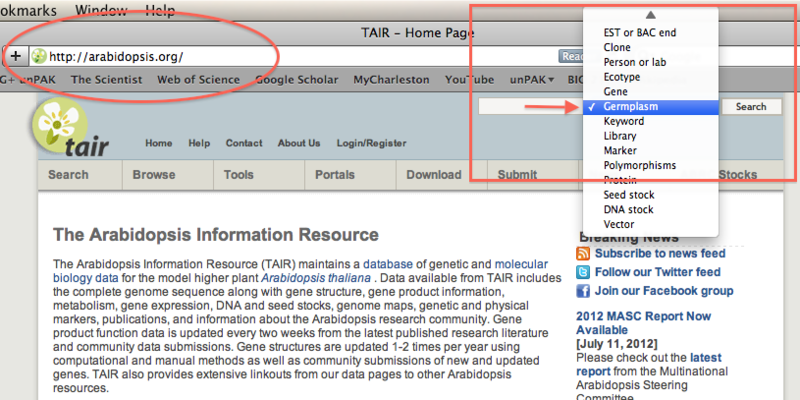 Once you find it, click on the mutant # – it will bring you to a new page with more information. Step 3: Clicking on your mutant number will bring you to a new text page with more information about the line. Here you can find the exact coordinates of the insert (for this mutant, chromosome 2 19,457,472-19,457,788 base pairs) and the location within the gene (for this mutant, 300-UTR5′ which means it is in the 5′ untranslated region (UTR) of the gene).